Featured Site: Pronupsims, specializing in wedding clothing and accessories for all ages. 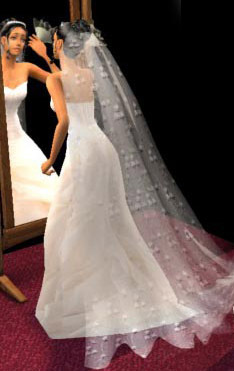 All kinds of items for your sims to wear on their special day. See hacks and hacked objects relating to this subject at Hacks and Hacked Objects: Reproduction, Relationships, and Family: Relationships and Marriage. This page was last modified on 2 January 2013, at 14:04. This page has been accessed 173,336 times.